ნოვემბერ პეინტერი დუბაიში Artist Pension Trust--ის დირექტორი და სტამბოლში მოღვაწე დამოუკიდებელი კურატორია. 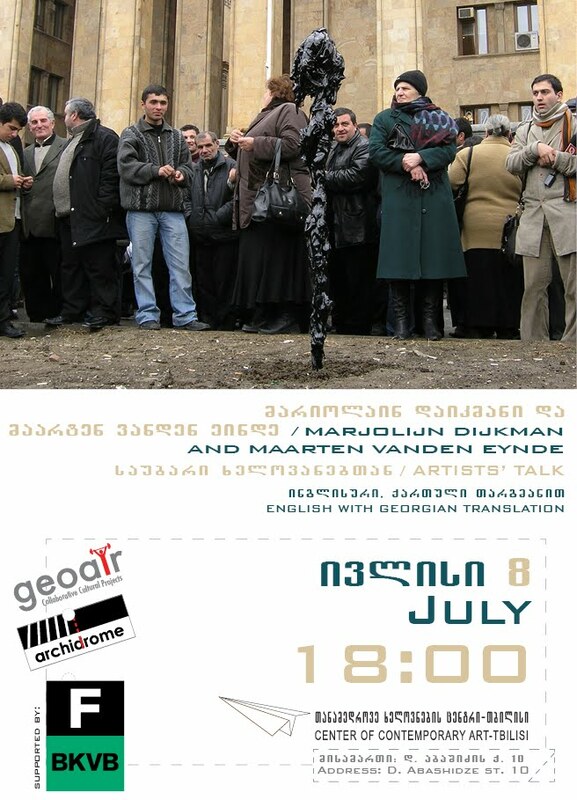 ბოლო პერიოდში იგი სტამბოლში Platform Garanti Contemporary Art Center-ის კურატორად მუშაობს. იგი იყო სტამბოლის მე-9 საერთაშორისო ბიენალეს კურატორის თანაშემწე და Tate Modern-ის გამოფენის Global Cities კონსულტანტი-კურატორი. პეინტერი პერიოდულად წერს სახელოვნებო პერიოდული გამოცემებისთვის, მათ შორის ჟურნალებისთვის Bidoun, Artforum and ArtReview. მისი ნაწერები ასევე ქვეყნდება სახელოვნებო და საგამოფენო პუბლიკაციებში. პეინტერის საკურატორო პროექტები თურქეთის გარშემო ფართო რეგიონის წარმომადგენელ მხატვრებთან ურთიერთობაზეა აქცენტირებული. მომავალ პროექტებში კავკასიელი ხელოვანების ჩართვის მიზნით მისთვის გადამწყევტი მნიშვნელობა აქვს კავკასიაში სახელოვნებო სცენის გაცნობას. არსებობს ამ ქვეყნების მხატვრების ჩართვის პოტენციალი მომავალ საკურატორო პროექტებში, რომლებსაც სხვადასხვა საგამოფენო სივრცისთვის, მათ შორის სტამბოლში Platform Garanti-სთვის. The Artist Pension Trust თრუსტ ხელოვანთათვის გრძელვადიანი ფინანსური დაგეგმვის პირველი პროგრამაა. ტრადიციული ფინანსური შენატანის მაგივრად, ხელოვანებს მათი საკუთარი ნაშრომების ინვესტირებასა და შეგროვებას სთავაზობენ რეგიონისთვის სპეციფიკური კოლექციის სახით, რომელშიც, საბოლოო ჯამში 5000 ხელოვნების ნიმუშიც შეიძლება გაერთიანდეს. რვავე სატრასტო ორგანიზაცია რეგიონალურ საკურატორო საბჭოსთან თანამშრომლობით 250 ხელოვანს ირჩევს 5-წლიანი ვადით. თითოეული მონაწილე ხელოვანი 20 ნამუშევარს გასცემს 15-20 წლით, რაც მას საკუთარი შემოქმედების ამსახველი კოლექციის შექმნის შესაძლებლობას აძლევს. November Paynter is director of the Artist Pension Trust, Dubai and an independent curator based in Istanbul. Recently she helds the positions of Curator at Platform Garanti Contemporary Art Center, Istanbul. She has been an Assistant Curator of the 9th International Istanbul Biennial and Consultant Curator at Tate Modern for the exhibition Global Cities. Paynter regularly writes for art periodicals including Bidoun, Artforum and ArtReview magazines, as well as for artist and exhibition publications. Paynter’s curatorial projects generally focuses on working with artists from the broad region that surrounds Turkey, therefore it is vital for her to become acquainted with the art scenes of the Caucasus countries in order to incorporate artists from Caucausus in her future projects. There is the potential to involve artists from these countries in my future curatorial projects that I am developing for various exhibition spaces including Platform Garanti in Istanbul. The Artist Pension Trust is the first long-term financial planning programme for artists, whereby rather than make a conventional financial commitment, artists are invited to invest and build a collection of their own works of art within a region specific collection that in total might eventually comprise 5000 works of art. All eight trusts work with a regionally experienced curatorial committee to select 250 artists over a period of five years and all the participating artists commit 20 works over a 15 - 20 year period in order to create a representative collection of their own career.